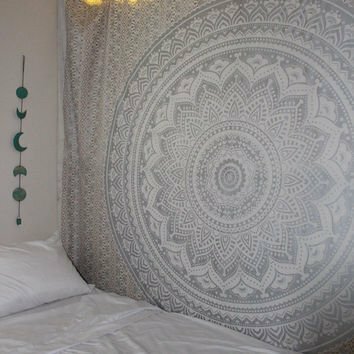 Beautiful throw/wall hanging tapestry hand made in india. The sheet measures 215cm x 140cm (the size of a Twin bed sheet). As these throws are hand made some designs may vary from the images shown. This reflects their hand made qualities and is in no way to be considered a defect. Brighten up any space with this beautiful wall hanging. Perfect for walls, beds, sofas, and much much more. If you have any questions about this product by Popular Handicrafts, contact us by completing and submitting the form below. If you are looking for a specif part number, please include it with your message.